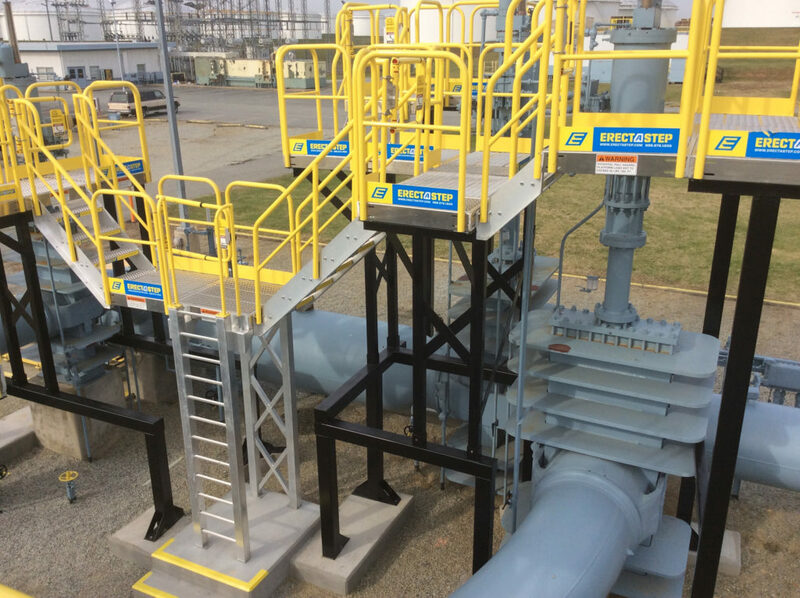 Installation of a combination of Erectastep industrial metal crossover stairs and ladders to provide OSHA compliant access to equipment as well as access across the pipes at Colonial Pipe facility. Very sturdy, easy to install and the SafeRack rep was very responsive. This is my second purchase within 6 weeks. Very sturdy, easy to install and the SafeRack rep was very responsive.